Bahrain is on the look-out for more tourists. It’s a good reason to open the world’s largest eco-friendly underwater theme park. 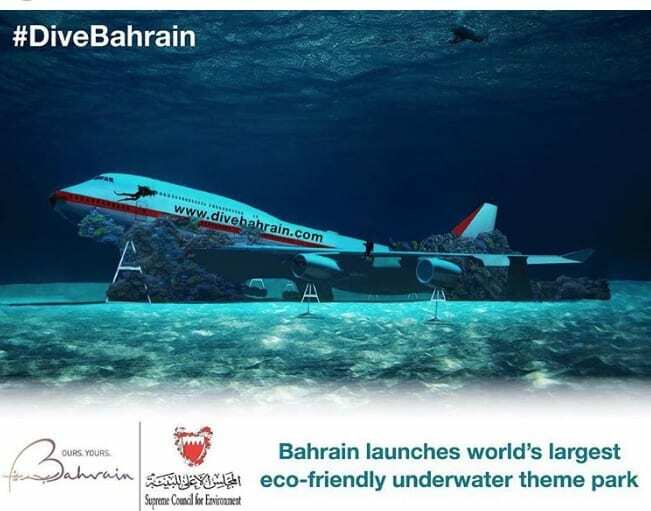 Expected to welcome visitors by summer 2019, the underwater playground will feature a submerged 70-meter Boeing 747 aircraft. The plane is believed to have been transported to Bahrain from Fujairah, UAE, and is reported to be the largest plane ever to be submerged.